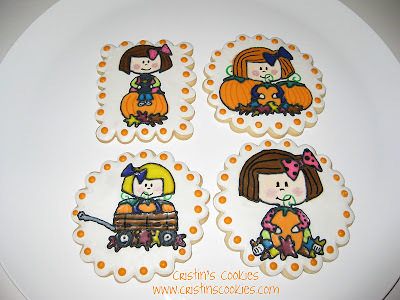 I found this super cute clipart and bought it with the specific purpose of using it to guide me in making these specialty Halloween cookies to send to a friend. I thought they would be really fun, but alas another friend of mine desperately needed cookies for a family get together and I just couldn't say no. At least I got to take a few pictures before they were gone. Yes please! To a challenge that is. I'm a relatively new follower, and would love a chanceh to participate in something fun like this, and maybe get a few followers (or helper-out-ter-ers) along the way too :) Feedback is so wonderful. Love, love, love your cookies. Great of you to volunteer like that. I wish I could find a used KopyKake. I'm game. What's your plan? These cookies are too cute Cristin! And yes I'm up for a fall challenge. Sounds great. These are adorable and done free hand makes them all the more wonderful! Hope you get a good rest between all your busy volunteering and your Field Hockey cookies! Love your pumpkin blog background. I can't participate in the challenge but I'll certainly enjoy seeing what everyone else does. Great ladies. We'll do a cookie challenge of FALL cookies. * Susie - participate anyway. Just put them in the freezer and pull a couple out now and then. If you leave them all out, it will be difficult for your hubby's diet. * Paula - even though you aren't on Facebook, you can still play along. 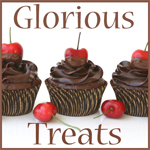 Just send me an email of your cookies and I'll post them for you. 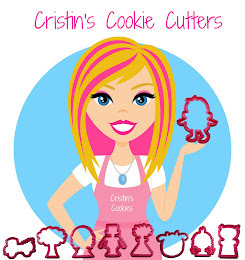 * Sharon, Giselle, Carsedra & Biscuit (I don't know your name sorry)- I'd LOVE to have you join our next cookie challenge! That always makes it so much fun when we play together! 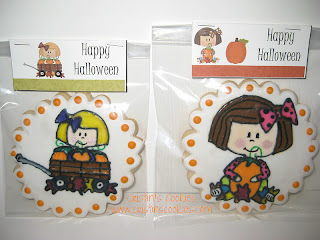 Some of the most adorable fall cookies I've seen! I can tell these were a lot of work! 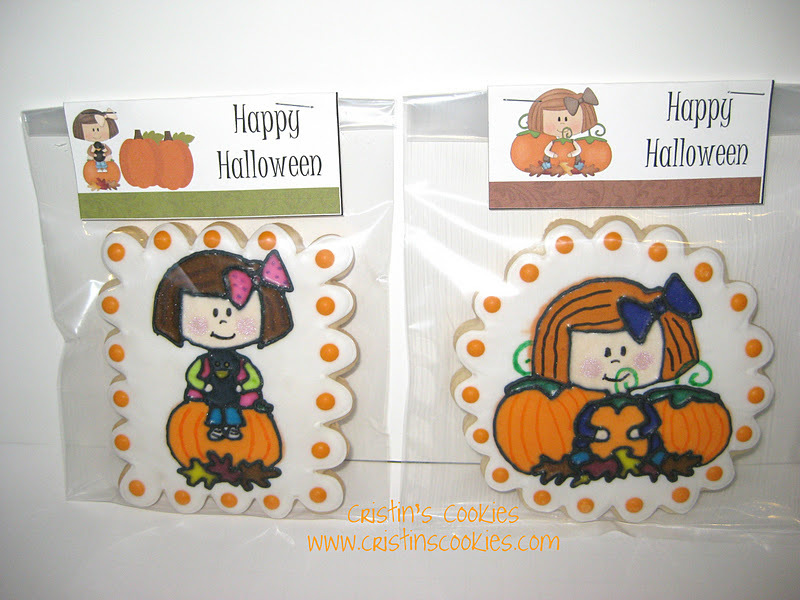 Have a good night's sleep, and Happy Halloween, Cristin! Susie if you freeze your cookies to help hubby with his diet, just make sure they are completely bagged. I individually bag each cookie and then I put all those bagged cookies into a freezer ziplock bag or a sealed tupperware container. With a teenager in the house, I very rarely have any extra cookies to hide away, but that would be how to store them to save for later. Another thing is that when you take a couple out. LEAVE THEM BAGGED with NO AIR until they are fully defrosted. The second you open that bag with a cold or frozen cookie, the icing will start to get gummy/sticky.